An obsession with everything electronic had seeped into our home and claimed hours of our lives. 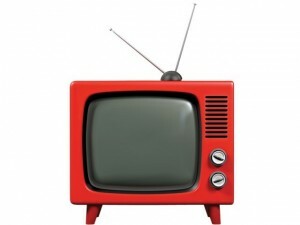 I wanted my husband, my kids and my old self back, and getting rid of the TV was a symbolic step. On the day before Hurricane Sandy’s arrival, my husband, a neighbor and I hoisted our cumbersome 1990’s-era TV onto a sturdy dolly and pushed it down the wind-whipped street to an e-waste recycling site. As I watched workers load it onto the back of a moving truck, I breathed a sigh of satisfaction. My husband felt otherwise. “As soon as the storm passes, we’ll look into a flat-screen,” he assured my sons. Twenty-four hours later, Sandy ripped through our region and plunged us into darkness. The old TV forgotten, the boys wanted to play games on the charged family laptop. When the battery died, they wanted to use my cell phone to keep playing. “No way,” I said. “It’s for emergencies only.” Later that afternoon, the cell phone died too. That first day of electronic withdrawal was hard on all of us. My sons had the desperate look of small junkies needing a fix. And without Internet access, I was left wandering from room to room in the darkness, habitually turning on light switches that didn’t work and listening to a battery-powered radio. Blocks from us in Manhattan’s East Village, cars floated in the storm surge, basements flooded to the ceiling and trees lay like fallen dominoes. Not much farther, lives had been lost and homes were irrevocably destroyed. As the long hours slipped by, something hopeful started to happen — the urge for community began to overtake the feelings of despair. Neighbors in our apartment building propped open their doors and met in the pitch-black hallway. We made note of the elderly and homebound in our complex and split up to check on them. The kids entertained themselves by running from one apartment to another with board games under their arms. Afterward, we pooled the contents of our defrosting freezers for a communal feast. Then, we took turns dramatically reading ghost stories by candlelight while the kids lay huddled together under blankets. We were in bed by eight. Our lifestyle had begun to flow more like that of families in the 1800’s than those in 21st century New York. Over a month later, I’m happy to report that we still don’t have a TV. I am not the most popular person in our household. 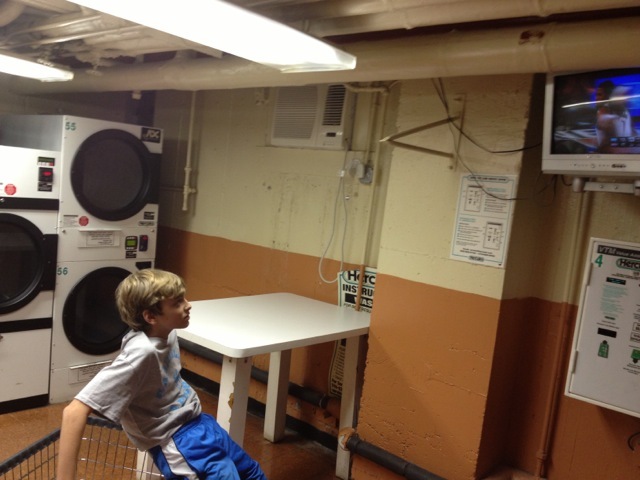 My husband and the kids have figured out ways around me, like sneaking down to our building’s laundry room to watch sports on the small TV mounted to the wall. I don’t have a problem with that — as long as they can get the laundry done at the same time.